Speaking during a business leaders’ seminar organised by the Seventh-Day Adventist Church in Bulawayo on Sunday, RBZ senior director Dr William Kavila defended the 1:1 US$/RTGS or bond note official exchange rate and warned that calls to un-peg the exchange rate at the present moment would take Zimbabwe back to the 2008 scenario when the country experienced hyper-inflation, which culminated in the collapse of the Zimbabwe dollar. “We cannot liberalise the (bond note) exchange rate now because our economic fundamentals are not right. If we liberalise the bond note, inflation will rise by 600 per cent creating more economic challenges than we have now. This will take us back to the 2008 inflation where money lost value overnight and nobody here wants to hear of that period,” said Dr Kavila. He was responding to calls by business leaders to phase out the bond note or subject it to market forces to determine its rate. 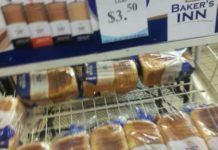 Some had complained that the US$1:1RTGS exchange rate was not sustainable and cited the existence of a three-tier pricing system on the market. Dr Kavila said while the central bank and Government appreciate the public frustration emanating from a distorted exchange rate market and sky-rocketing prices, largely driven by speculative parallel market players, authorities have a mandate to instil discipline and protect public interest. He explained that the 1:1 official exchange rate was important in preserving the value of money and ensuring depositors with millions of dollars at banks do not lose them. Dr Kavila called for calm and urged Zimbabweans to work together with Government by supporting measures to restore confidence and achieve macro-economic stability. “We need to work on fiscal consolidation measures, which is where the problem is. The bond notes we have are less than $500 million compared to the $10 billion RTGS balances,” said Dr Kavila. Treasury is already seized with implementation of austerity measures meant to reverse fiscal disequilibrium guided by the Government’s Transitional Stabilisation Programme (TSB). 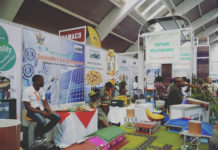 These have been further buttressed in the 2019 national budget statement, which was announced by Finance and Economic Development Minister, Professor Mthuli Ncube. The apex bank official also dismissed as false and malicious reports that the RBZ was participating in parallel market activities. On the contrary, Dr Kavila said, the recent price madness was triggered by speculation and misunderstanding of fiscal and monetary policy pronouncements. He, however, said Government would continue to allocate foreign currency to support critical imports such as fuel, drugs, electricity and key raw materials for the productive sectors. Government has said while it has no control over the parallel market rates, it has secured a $500 million Afreximbank facility to back the RTGS balances and pleaded with ordinary Zimbabweans not to trade on the parallel market. “Afreximbank has offered Zimbabwe a facility to guarantee 1:1 convertibility of RTGS balances into US dollars. Having said that, what we can say is that people should desist from being involved in the parallel market, both in terms of currency activities and activities on the goods market,” Dr Kavila said. Zimbabwe is not stranger to birthing beautiful women and in this list we have compiled a top 10 list of stunners we have stumbled upon over the years.